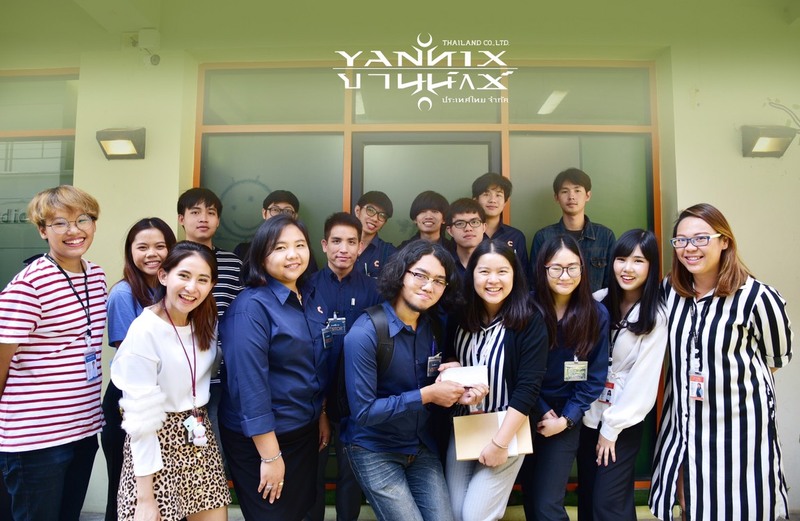 YNX Hosts 9 From Chiang Mai University – Yannix(Thailand)Co.,Ltd. On Thursday, March 14, Yannix (Thailand) Co. Ltd. welcomed a group of nine (9) guests from the College of Arts, Media & Technology (CAMT) at Chiang Mai University (CMU). The visiting contingent from CAMT, led by Mr. Arus Kunkhet (Course Leader for B.Sc Animation and Visual Effects), Mr. Sumet Yordkaew (Lecturer), and Miss Varinrat Bhudda-art (Lecturer) observed the Match Moving, Rotomation, Rotoscoping and VFX processes, and participated in a Q&A session with Piyana “Nuch” Sukanghong (Yannix’ Head of Human Resources Development Dept.). Thank you Mr. Arus, Mr. Sumet, Miss Varinrat and everyone from CMU who took the time to visit us at Yannix.